As we all bloggers know, blogging doesn’t only come down to just writing your post, publishing it and waiting for reactions. It is much more than that, but let’s focus on the post-publishing stage. You have finished writing. You have also come up with a compelling title. What else needs to be done? Which are the steps you need go through after having published your new blog post? 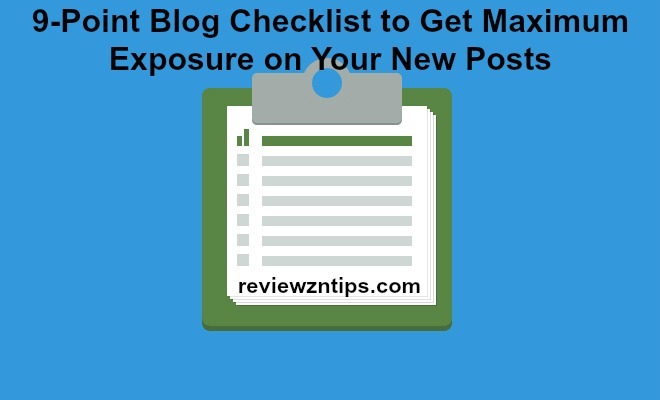 The following article is a blog checklist to some of the more important, but often neglected blogging tasks that will ensure maximum exposure for your newly written article. 1. Have You Added ALT Tags to Your Images? As you probably know, ALT tags are actually the only way of telling the search engines that you have an image in your blog post. If you don’t add an ALT tag, you are not describing what’s in the image you’ve uploaded, then the crawlers will see the post as plain text and nothing more. Having the ALT tag and of course using it properly by adding relevant keywords can help you improve rankings. It doesn’t take more than two minutes, so just fill in the blanks after adding the images! Further reading: “4 Powerful Reasons Why You Should Add Images to Your Blog Posts“. 2. Did You Choose a Category for Your Blog Post? That is probably the one I forget about the most. 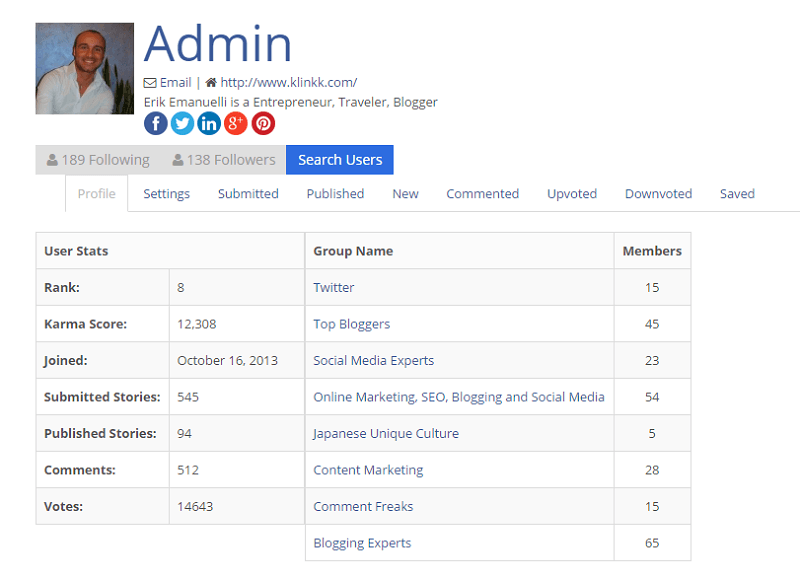 Adding your posts to categories is a great way to organize them so that they are easy to find. The best thing to do would be to get that one sorted out right from the start. Choosing a relevant category before even starting to write will ensure that you don’t forget that step. It’s good for search engines, it’s good for poeple, so make sure you get it done. 3. Did You Notify Your List Subscribers? What about the ones who have signed up for email updates? Your list subscribers are the ones who have the highest chance of taking action. These are the folks you can really count on. Email lists are mostly there to provide subscribers with exclusive content. That does not at all mean that you should not keep them informed about what’s going on with your blog. Are you running a mailing list? Which service are you using? If you need help choosing one, take a look at this post about the Best Email Marketing Services & Software. Also, connecting an RSS feed to your blog and following the required steps doesn’t take more than ten minutes and it’s well worth the effort. I would advice you to use your post title and a prefix such as “New article” or “New blog post” as a subject line. 4. Did You Share it on the Blogging Networks? The good old blogging networks are still worth submitting to. The concept behind such sites is voting on blog posts also known as stories. The stories that reach a certain threshold of votes get featured on the main page thus receiving additional exposure. All in all the traffic you can get is not huge, but submitting takes no more than 15 minutes, so it’s not a big deal. Klinkk (I founded it back in 2013). The process is straight forward, you just need to paste the story’s URL in the desired box and fill in some additional details. Be sure to engage with members and vote/comment other stories. Do not just drop your link and leave the site. Being labelled as a spammer is a matter of time! 5. Did You Add a Keyword or Two to Your Title? Catchy titles are a must if you want high click-through rates on your tweets (see “5 Smart Strategies to Help You Build a Strong Twitter Presence“), Facebook and all kinds of other shares. However you should also always think form SEO perspective. I myself never put too much weight on SEO when creating content, but a keyword or two, clearly showing the direction of what you are going to present won’t hurt at all. After having finished with the writing part, check and double check if your title follows some basic SEO rules. Best, especially for longer headlines, would be to include the most important keyword right in the beginning of the title. Don’t aim for too generic terms such as blogging tips or social media, but rather try some more long-tail phrases. 6. Have You Pinged it? It is always a good idea to ping the post after publishing it. This is a sure way to let search engines, RSS feeders, etc. know that you have new content ready for them. Pinging immediately updates such services so your have a better chance of your new article getting indexed faster. This is also good if you have published the post, and done some modifications to the title. If you don’t ping it, it might take a ton of time for RSS feeders to update to the new title, while doing it will update it instantaneously. The service I recommend is Ping-O-Matic. Once you set it up to work for your site, you can just save the link as a bookmark and click on it whenever there’s new content to be pinged. Super simple! 7. Did You Share Your Post on Facebook? An obvious one. What I do is sharing the post on my fan page right after publishing the article. I use to do it with Hootsuite in an automatic way. There is something you can do to get more attention and likes on your fan page. Clicking on the date of the post will load it separately from your stream. 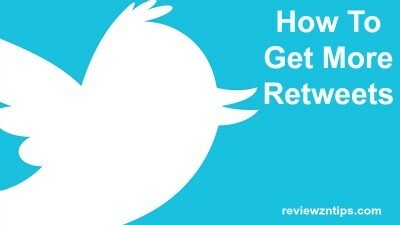 That way you can copy that link, shorten it with bit.ly and post it on Twitter. Doing so will get people to first visit your Facebook page rather than your blog. 8. And What About Twitter? Apart from tweeting the post on your Facebook page, the best way to get initial retweets on your new article is to be the first to tweet it. If you want to get as many visitors as you can, you need to tweet the post throughout the first day of publishing it. That doesn’t mean bombard your followers with hourly tweets. However 3-4 times in the span of 24 hours definitely won’t be a problem. Also, use social amplification tools like JustRetweet.com and ViralContentBuzz.com. And don’t forget about Triberr! 9. StumbleUpon is Still Worth a Try! I have been using StumbleUpon since the beginning of my blogging journey and I have received thousands of visitors throughout the years. My advice after submitting there is to tweet the post from within StumbleUpon’s toolbar. Doing the tweeting from StumbleUpon will post the tweet with the su.pr shortener, which is a good way to get additional visitors. Then you need to share the post (again via the toolbar) with your mutual followers. Make sure to write a message, encouraging poeple to like, share and retweet the post. Keep in mind not to sound too promotional. These are the nine most important tasks I make sure to complete after clicking the “Publish” button. Doing them ensures that my articles receive as much traffic as possible. Now let me hear your thoughts! Are they all really worth doing? Is there something I have missed to put in the list? Don’t hesitate sharing your two cents! these are great tips to get some eyeballs on a new blog post. Usually I make use of all of them. Also I like to share my post on Google+, especially if it fits into a community I am a member of. This can bring some nice amount of traffic. good to hear you confirm my points here. Thank you for sharing the references. I’m new to this industry so from the beginning, I was keep on struggling to obtain the results, but till now I wasn’t got any. I did with some points which you have mentioned in your check list but missed out some. I hope your references will helps me a lot to within in my competition. These tips are very informative. When I have publish a guest post, I have missing some of these tips. And therefore my blog post not getting more traffic. Thanks Erik for sharing these tips. Keep write these type of stuff. Hey, Erik Thankyou for sharing blog website that is helpful for my blog to share content. I am totally lacking with some checklists! Starting with the pinging and not utilizing StumbleUpon. Actually, I meant to put our blog URL or the blog post URL to ping to? Hi Erik, I gave up on Stumble Upon years ago when my bounce rate went through the roof from that site. Do you think it’s worth another look? I would add Viral Content Buzz, Just Retweet and Triberr. I do get a lot of traffic via Tribber and always have. I’m just carefull what I share from there. Thanks for your tips Erik and have a great day ahead! This article is very good. I also agree to you after writing post publishing in a proper manner is very necessary. It help to promote our post properly. thanks for the blogging network list. Once again get pleasure by reading your article. Glad to know about these pin points. After categories did tags have any influence in SEO? For many years, title tags have been considered one of the most important factors of on-page SEO. In fact, in the past, title tags were seen by many as only second to good ol’ fashioned keyword stuffing in terms of importance. But are they as important in 2016? According to 2016 research from Backlinko.com, Google’s shift toward semantic search could affect the relative importance of the title tag. The researchers found that a keyword-optimized title tag was associated with a better ranking, but that the correlation was smaller than it once was. Findings suggest that Google no longer requires your title tag to include an exact keyword in order to interpret a page’s subject matter. For example, if you type “how to start a business” into Google, only six out of the ten top pages include an exact match keyword in their title tag. That said, search engines will still compare your title tag to other content on your page, to ensure keyword consistency when indexing and ranking web pages, still making them an essential part of SEO. In other words, title tags are still an important part of on-site SEO, but they are far from the be-all and end-all. Nice work! These are definitely the basics of getting traffic so it’s worth a read. Oh yeah, I found your article on ViralContentBee, so you might want to add it to this article. Really helpful content. Will surely follow your blog in future, I am really amazed by the content you have written in your blog. Good list indeed, additionally I would recommend to use Google Search Console Fetch as Google section to let Google know about the newly created page or post on the site. This not only helps in faster indexing but improves the ranking as well. Creating a content and promoting it may not be sufficient, but we can create many supplemental contents for the main content, this is called content re-purposing. Sharing those re-purposed contents (video, PPT, info-graphics, podcasts) will help the main content to reach more audience or customers from different types of online channels. You should also give a try to FlipBoard. A great platform to get quality traffic. I wasn’t using StumbleUpon much but I guess I should now. Hi Erik, I think Blog Title is also an essential part as it is the post title and also the H1 tag. We should be very careful about placing primary keyword in blog title also as we should establish relevancy between post URL, post title and keywords. Post description also should have the Primary keyword. As you mentioned like category, we should also select and provide relevant Tag too. It is a nice post and bloggers would definitely be benefited. Thank you. Awesome content and the way of writing this post is very good.